Pix from Nicolas Acevedo and Carmen Sesin, "Cuba has a new president, and for the first time in over 40 years, his last name is not Castro." ABC News (19 April 2018). The world is abuzz today, if only for a few seconds. Today's momentary distraction centers, again, on Cuba, a state whose existence is felt only when it irritates or can be used as a tool by others, though one that has managed to punch well above its weight for almost a century. For the last 70 years or so the character and direction of that distraction over directed, within Cuba, by the brothers who assumed the leadership of the Cuban Revolution after 1959 and who became in a sense synonymous with its direction, aspirations, ideals and a somewhat sad history of implementation at home and abroad. Today, after a carefully orchestrated set of meetings and actions, a drama years in the making was at last brought to a close. Cuba has a new president, and for the first time in over 40 years, his last name is not Castro. Miguel Díaz-Canel officially became president on Thursday morning after Raúl Castro stepped down and Díaz-Canel was confirmed by the National Assembly. (Nicolas Acevedo and Carmen Sesin, "Cuba has a new president, and for the first time in over 40 years, his last name is not Castro." ABC News (19 April 2018). Yet this is hardly the end of an era--or even the end of the period of leadership of the Castro Ruz family. Indeed the opposite may well be true. El mundo se alborotó hoy, aunque solo sea por unos segundos. La distracción momentánea de hoy se centra, nuevamente, en Cuba, un estado cuya existencia solo se siente cuando irrita o cuando puede ser utilizada como una herramienta por otros ((o ellos mismos se utilizan en estas maneras), aunque ha logrado superar su peso durante casi un siglo. Durante los últimos 70 años más o menos el carácter y la dirección de la distracción ha sido dirigido, dentro de Cuba, por los hermanos que asumieron la dirección de la Revolución cubana a partir de 1959 y quienes se convirtieron en un sentido sinónimo con su dirección, aspiraciones, ideales y por supuesto la trsite historia de su implementación domestico y en el extranjero. Hoy, después de un conjunto de reuniones y acciones cuidadosamente orquestadas, un drama en el que se fabricaron años finalmente llegó a su fin. Cuba tiene un nuevo presidente y, por primera vez en más de 40 años, su apellido no es Castro. Miguel Díaz-Canel se convirtió oficialmente en presidente el jueves por la mañana después de que Raúl Castro renunció y Díaz-Canel fue confirmado por la Asamblea Nacional. (Nicolas Acevedo y Carmen Sesin, "Cuba has a new president, and for the first time in over 40 years, his last name is not Castro." ABC News (19 de abril de 2018). Sin embargo, este tránsito no marca el final de una era, o incluso el final del período de liderazgo de la familia Castro Ruz. De hecho, lo opuesto bien puede ser cierto. Though Raúl Castro will no longer be burdened with the endless glad handing and official duties of the head of state he retains the more powerful position of First Secretary of the Cuban Communist Party (PCC). And that, of course is the detail that most Western press agents--so poorly schooled in the basics of Marxist Leninist State organizations that they could not see its supplication if it hit them on the head--and desperate to reshape distinct system in accordance with their own sometime silly but always narcissistic world view. As usual in such cases the em-PHA-sis is invariably on the wrong syll-A-able (e.g., "Castro, 86, will remain head of the Communist Party, the most powerful governing body on the island, but his departure from the presidency represents a symbolic shift in an aging leadership." Ibid). While the press goes on and on about the challenges that face the new President, they might have done better to consider that the primary task of the new President is to carry out the wishes of the PCC as articulated by its First Secretary. "A stalwart of the ruling Communist Party, Diaz-Canel was sworn in to replace Raul Castro by the National Assembly in a new chapter for the Caribbean island but one that has been carefully managed and is aimed at preserving the political system. The mandate given by the people to this house is to give continuity to the Cuban revolution in a crucial historic moment,” Diaz-Canel told the assembly in his first speech as president. "(Sarah Marsh, Frank Jack Daniel, Cuba's new president vows to defend Castro revolutionary legacy, Reuters (19 April 2018). In that sense, though much has, indeed, changed symbolically, little has changed on the ground. 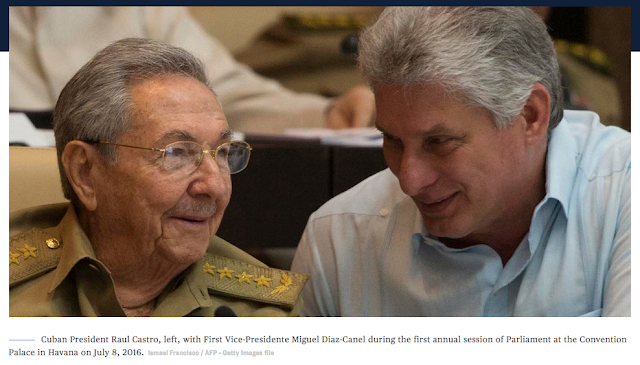 It is in that light that it may be more important to consider the current state and future course that the PCC is charting for Cuba--a course that Diaz-Canel will serve faithfully (even as he moves to consolidate power for a potentially successful full transition). Reporting recently from Havana, Marc Frank (The state of Raul Castro's economic reforms in Cuba - Reuters News 17 April 2018) examined the state of economic reforms in Cuba, a process begun soon after the incapacity of Fidel Castro, with so much hope (inside and outside the Island though from different perspectives). Yet the process of reform appears to be following a well worn pattern of similar initiatives undertaken by the government since the 1960s--initial enthusiasm, fracture, opposition, bureaucratic resistance, doctrinal opposition, external shocks, and marginal change. Still, with every new initiative there is an eternal and recurring hopefulness; is this the initiative that will finally fulfill the promise of 1959? That hopefulness is always tinged with the foreknowledge of disappointment. A revolution such as this is as much a prisoner of its own logic as is any other system founded on a set of unwavering premises.And, indeed, the new President, Diaz Canel made that abundantly clear--"He confirmed expectations that the transition would not herald sweeping changes to one of the world’s last state-run economies and one-party systems, promising there would be no return to capitalism. Diaz-Canel, who has risen the ranks of the Communist Party over three decades, said the new period would also be characterized by 'modernization of the economic and social model.'" 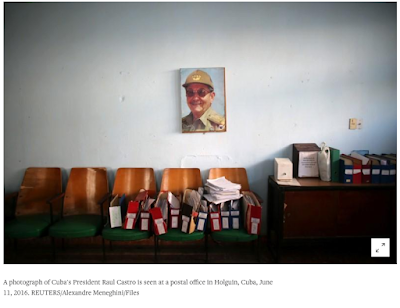 (Sarah Marsh, Frank Jack Daniel, Cuba's new president vows to defend Castro revolutionary legacy, Reuters (19 April 2018). That is not just a statement but a reference to the carefully crafted comprehensive statement of fundamental political-economic ideology--the Basic Line the the PCC, along with objectives of macro-economic policy through 2030 announced during the 7th PCC Congress and thereafter widely distributed--to the utter indifference of the West. Conceptualización del modelo económico y social Cubano de desarrollo socialista: Plan nacional de desarrollo económico y social hasta 2030: Propuesta de vision de la nación, ejes y sectores estratégicos (hereafterthe Conceptualización). Discussed in Larry Catá Backer, “Central Planning versus Markets Marxism: Their Differences and Consequences for the International Ordering of State, Law, Politics, and Economy,” Connecticut Journal of International Law 32(1):1–47 (2017). What the Cuban state apparatus and the PCC have been making as clear as they can to anyone who will listen (but of course the West tends to talk AT people and states and does a horrible job of LISTENING--to the detriment of its own interests) is that Cuba now feels itself strong enough to put a halt to any movement toward markets or markets based socialist economic structures. Rather, the Concepualización. The 7th PCC Congress and its Conceptualización suggests both the necessity and the difficulty of theorizing the normative basis of the state in times of crisis. Both necessity and difficulty is made more acute in the shadow of normalization of relations with the United States. That perverse relationship has colored Cuban Marxist theorizing in ways that have led it to reject the emerging Asian Markets Marxism Model (socialist market economy) in favor of a system grounded in the rejection of markets as a means of ordering either economics or politics. Instead, economic and political power—the conflation of markets within the state apparatus itself contributes to a larger goal. That goal—the use of economics and politics to substantially reshape the social construction of the masses, of the individual as a part of the mass of individuals which when aggregated becomes both the source of economic productivity and its object—is fundamental to the differentiation of the state from both the markets driven United States and China as the great Asian polestar of Marxism. Within this thought structure, culture, democracy and social dignity is impossible in systems in which economic control is separated from economic production. Cuban Marxism has advanced only to the point of refining the Cuban orthodoxy well developed by the 1980s, and the essence of Fidel Castro thought. (Larry Catá Backer, “Central Planning versus Markets Marxism). And indeed, to understand where Diaz-Canel is fgoingm, to understand the way he views the world and the organization of the Cuban political and state apparatus one might do best by reading carefully the Conceptualización and paying heed to the Plan nacional de desarrollo, as distasteful and incomprehensible as they might be to Westerners always hopeful that things really aren't what they seem or that people don't mean what they say or that there is an inevitability to the march of states to something like 20th century expressions of the European Enlightenment. But more important, it is an excellent example of the way that language is used to create meaning, to develop not merely a vocabulary (that appears tedious to the outsider) but to embed values that substantially affect the calculation of benefit among choices in both economic policy, and in dealings with foreigners. It is also important as a vision for transition developed in the wake of anticipated changes in higher leadership and the effects of normalization with the United States. But most importantly, PNDES itself can be understood as a crude but sophisticated algorithm for directing the Cuban economy and providing a coherent basis for making choices among economic activities. (Larry Catá Backer, "The Algorithms of Ideology in Economic Planning: A Critical Look at Cuba's National Economic and Social Development Plan 2030," Cuba in Transition 27:115-136 (2018). It is in this light that the stock taking that Westerners now indulge acquires some utility. To that end the short essay by Marc Frank reporting for Reuters is quite useful. But it is also worthy of some annotation. For each of these advances, that the West pounced on perhaps with more eagerness that the Cuban state and the PCC (certainly as evidenced by the turn after the 7th PCC toward good old fashioned Soviet values), has now been either rolled back or set as a smaller piece in the service of a traditionally orthodox Soviet economic model with the Party-State (and its ministries) at the center. The best example Frank provides is the rise and fall of the private agricultural sector, whose "reforms were reversed and the state dominated system restored in 2015 on the grounds that speculation was inflating prices." Marc Frank (The state of Raul Castro's economic reforms in Cuba, supra). But the same could be said of the small business sector--which was always described as an experiment. its principal purpose was to serve as a "reserve pool" of employment in the tourist and small consumer needs sectors, which might generate revenues through tips and from interactions with tourists (and thus as a private face to seeking foreign funds through tourist expenditures. (Discussed in Larry Catá Backer, The Cooperative as a Proletarian Corporation: The Global Dimensions of Property Rights and the Organization of Economic Activity in Cuba, 33 Nw. J. Int'l L. & Bus.527 (2013) ("The tentativeness with which the state organs have created its cooperative experiment, and the thoroughness with which it has enveloped the operation of cooperatives within the framework of state economic oversight suggest a reluctance to exploit the potential of cooperatives as both bridges to market efficiency and as vehicles for the internalization of social objectives in economic relations that serve Cuban state ideology and emerging global consensus on corporate social responsibility.")). And, indeed, this sector has always been tightly controlled. Its operations were subject to multiple levels of review and constrained by the exercise of administrative discretion. Again, "In August , however, Cuba suspended issuing new licenses for cooperatives and certain private-sector activities from bed-and-breakfasts to restaurants until it had implemented new measures to curb wrongdoing such as tax dodging." (HERE). It then comes as no surprise, that the greatest lasting success of economic reform would focus on the notoriously inefficient state enterprise sector. That, in turn, is tightly connected to the focus on attracting investment (and cash) to an Island with little of either. The legacy of the Castro brothers--and it is still far too early to speak of legacy, begins to take shape. It is centered on an unwavering loyalty to the Soviet and European vision of a Marxist Leninist State. But it also exhibits the flexibility necessary to preserve that vision in times of crisis to the extent necessary to survive. That flexibility takes full advantage of the almost obsessive need of the West to see in flexibility long term and permanent movement away from the core of the system to which the Cuban state and Party apparatus remain fundamentally committed. 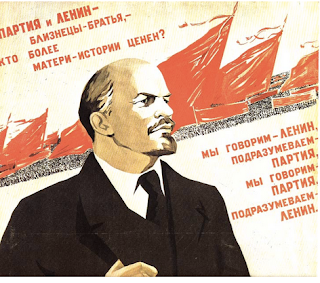 What one encounters, then, with the PCC and its reform efforts over the last three quarters of a century is little more than an endless repetition of Lenin's New Economic Policy bent to suit the times and the context. HAVANA, April 17 (Reuters) - President Raul Castro’s efforts to modernize Cuba's Soviet-style centrally planned economy have borne mixed results, with some initiatives moving forward, others stalled and still others either scuttled or yet to begin. Late former President Fidel Castro termed these changes "concessions to the enemy" while Raul Castro has cast them in a more positive light and said they are an indispensable part of Cuba’s future. There have been numerous adjustments to regulations aimed at giving the companies, which account for some 70 percent of Cuba's economic activity, more authority over day-to-day operations, as well as how they handle excess production after meeting their production quotas and after-tax profit.